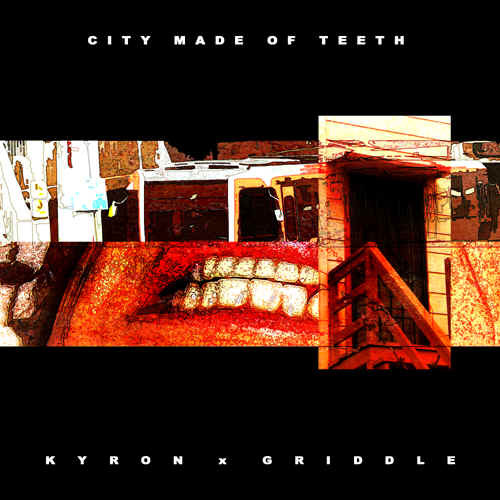 With City Made Of Teeth, Kyron takes the art of the remix to a whole new level. Seventeen distinct tracks await the caress of an attentive ear, all derived from a single song originally recorded by psychedelic progressive rock band, Griddle. In Kyron's hands, this single song has taken on an entirely unexpected life expressed as a federation of 17 glitchy ambient electronic pieces. Like patches of fabric introduced to one another through the matrix of a quilt, each track stands apart from the others and in harmony with its neighbors. Together they create a haunting electroacoustic view of a futuristic urban maze, a sonic tour of A City Made Of Teeth. "Nocturnal, urban, eclectic and sophisticated."